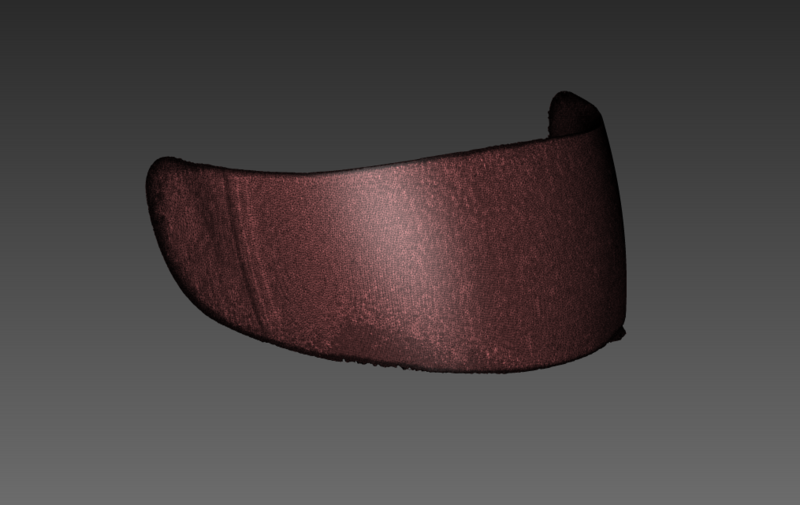 3D Scanning Case Study: Motorbike visor 3D scanned for CAD development. The visor was 3D scanned on the turntable, with a few scanning targets (little round dots) added - they help the 3D scanner track the object. The brief was to only create the compound curve surface of the visor as the design company needed the curve to fit their new crash helmet concept. More importantly was the file to be outputted to NURBS so it could be imported into Solid Works their CAD software. 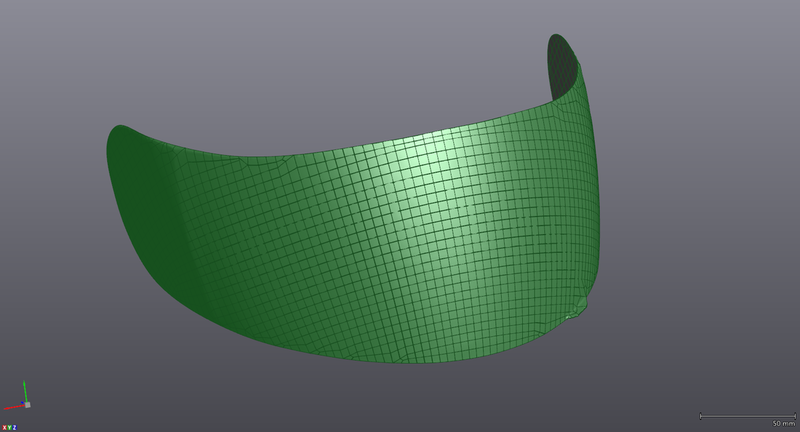 The visor 3D scanned well and we carried out an accuracy check of the cleaned mesh, as the designers required +/- 0.1mm. The cleaned mesh was within their parameters so we filled any holes and proceeded to the next stage. We converted the final mesh file to a NURBS surface so it could be imported directly into CAD and developed as required.